Is there a way to talk about young people being “gifted” and not enter a territory fraught with debate? From what I’ve been reading recently, there are not only arguments about how we define “giftedness” but arguments about the arguments. For parents, the identification matters in a practical sense if they are trying to understand how their state identifies and fosters students with unique abilities. And it matters to our society, in a practical sense, if we are hoping to identify and encourage the next generation of leaders, innovators, and artists. But in the emotional and less quantifiable ways, it matters when we consider that there are many young people who possess the potential for giftedness who go unrecognized. And there are exceptionally talented young people who demonstrate behaviors or attitudes that don’t align with our expectations of how a gifted person should behave. 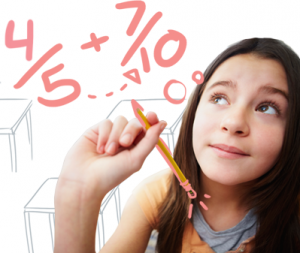 And The National Center for Learning Disabilities discusses twice-exceptional learners, (2e) possessing a learning difference and gifted talents. Often, one characteristic masks the other. How do we define giftedness and identify it in young people? How do we help foster it as well as ease the pain of certain concomitant emotional attributes that aren’t always positive? And how do we not neglect or underserve those who are, in the best sense of the word, average? An educated consumer, as they say, is our best customer, and that may be a parents’ best strategy for a topic as complex as this. Here are 6 starting points for a parent’s education in giftedness. 1. PG: We don’t mean movies. PG children are those who are Profoundly Gifted. According to an article on Great Schools, they make up .01 percent of the population. Great Schools describes what it’s like being a parent to a PG child in this article, “IQ Like Einstein”. And the mother of a gifted child (who appears rather gifted herself) has created a resource for parents giving the scoop on common intelligence tests on her website, Hoagies Gifted. 2. Michelangelo was not in G&T. Timeline of gifted identification and education, including the development of the Standford-Binet intelligence test and how the Cold War ramped up G&T and STEM. 3. United States of Definitions: States define “Gifted” and decide how and if to fund educational programs. Find your state’s definition by clicking here. 5. High IQ is no longer the only ticket. According to a paper from The Center for Excellence in Education, a study at Purdue University showed that by 8th grade, two-thirds of a group of 432 gifted students had become the victims of bullying, including name-calling, teasing and acts of violence. The report said, “social justice issues are very important (to gifted students) and they struggle to make sense of the cruelty and aggression. Perfectionists may become even more self-critical, trying to avoid mistakes that might draw attention to themselves.” Additionally, an excellent description of Emotional intensity in Gifted Children by By Lesley K Sword, can be found here.